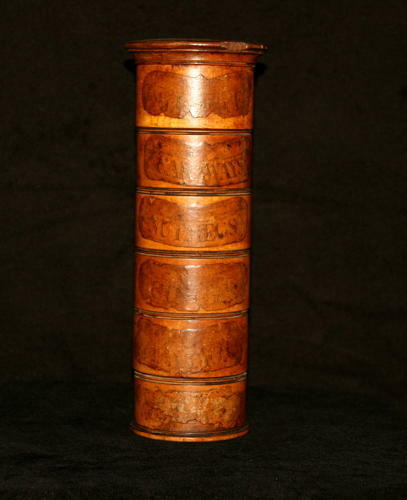 A nice 6 tier English Spice Tower c.1820. No splits, but a small bash to the lid, as shown. Bottom label the most rubbed but still readable as "Mace". This tower has what is usually considered a much rarer label on the 2nd tier down "Caraways".